• Oh! The kids are busy reading and drawing. 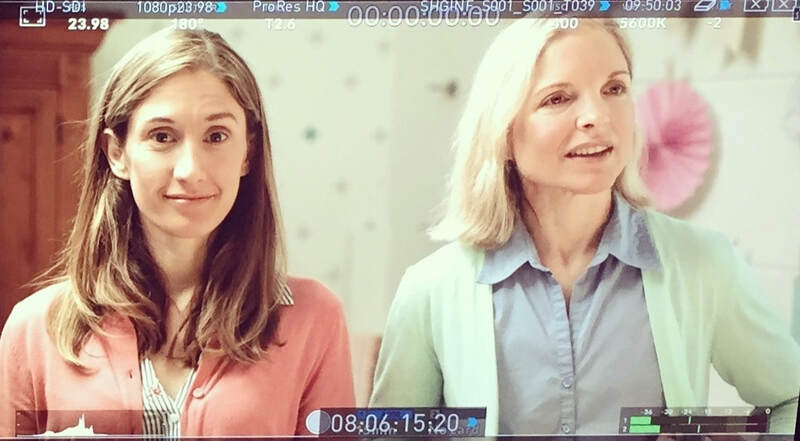 I’ll just quickly finish the last little edit to the trailer for The Mom List. • I can’t believe I’m actually able to do this. I’ll be ahead of schedule! This is a dream! • "Mama! Can I have water?" says my 3 year old. I quickly get three waters and snacks to make sure everyone is still occupied for at least another 10 minutes. • Alright, back in the seat and editing away. • "Mom! Where are my new glitter markers and stickers?" says my 6 year old. Crap. Where did we put those? • "Mama I have to go poopy!" screams my 3 year old. I can't believe it! He's almost fully potty trained! I help him in the bathroom and then we do the happy dance around the kitchen. Then I get him in front of the coloring book again. I think to myself, "I'm the best!" • "Mom why can’t I have a phone?" says my 9 year old. • Who wants chocolate chip bannana bread! • My 3 year old steps on my hard drive cord and pulls it out. I lose the entire trailer……and now I’m behind schedule. When Following A Dream, Don't Ask Questions. 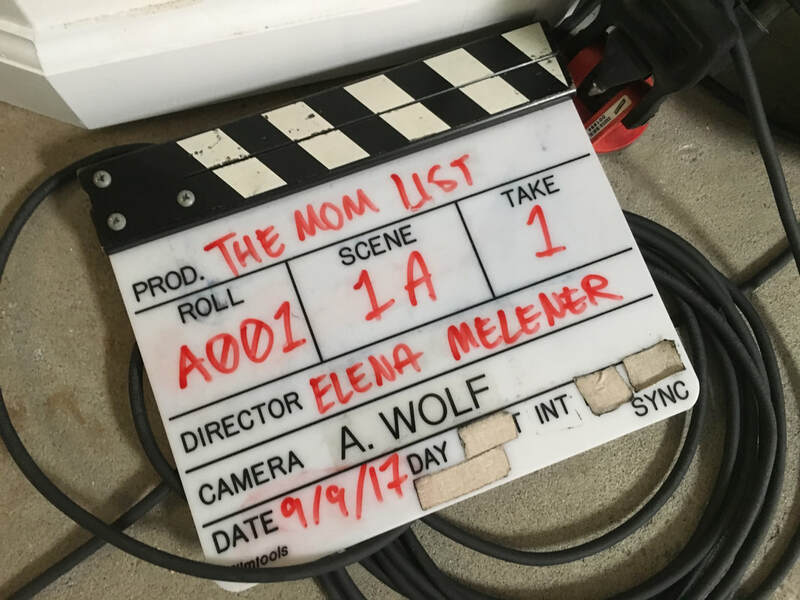 Early one morning this past January, I wrote a comedy web series called, The Mom List. It wasn't intentional and certainly not planned. It just came out, like when a child projectile vomits all over you. There's no warning and you certainly don't see it coming, but you feel better when it's over. For me, it was the moment that would change the next 9 months of my life. 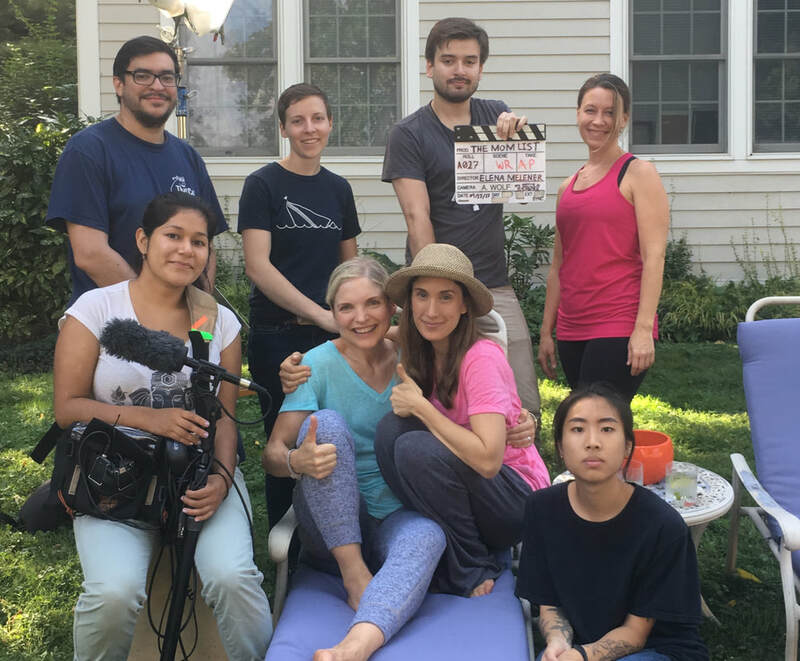 After taking a break to focus on my voiceover career and have children, I was ready to jump into acting again. 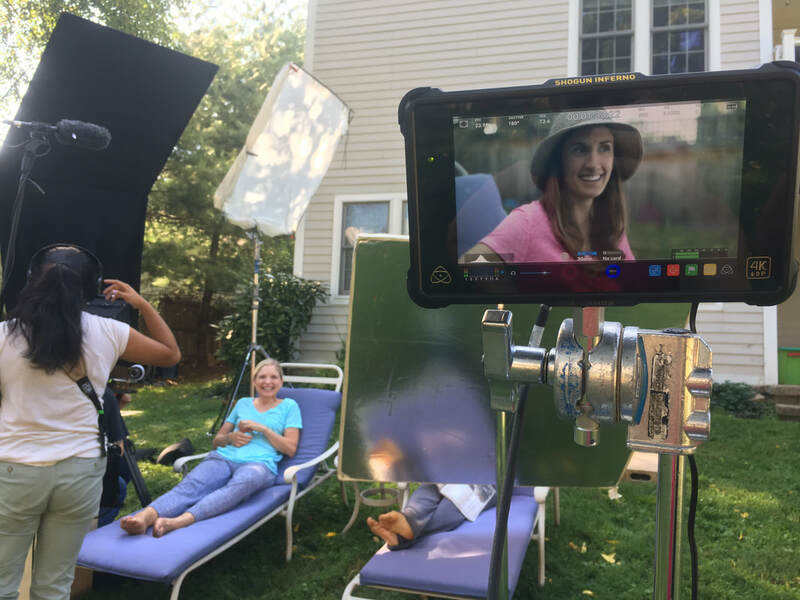 I was intimidated by my own age and lack of on screen acting career, but I decided I needed to take matters into my own hands anyway. After all, how was I ever going to get an opportunity when my resume was full of roles from my twenties? My biggest fans were my three children. Though absolutely rewarding, the only role they were hiring me for was to be their Mommy. I've always loved to tell stories that made people laugh. Even at a young age, I knew how to embellish an otherwise boring scenario to stir up my audience into a chortling fit. Maybe that's why I originally got into acting and comedy improv. Hearing an audience cackle was intoxicating. I thought nothing would ever feel more satisfying. Boy was I wrong. I believe when you're following a dream, the worst thing you can do is ask too many questions. I didn't ask myself why I wrote the series, or why I marched into the county court house one day and created an official production company called Noodles On The Wall Productions. All I knew, was that I needed to do it and that in the end I would learn a lot. I did just that and I was fortunate to have a team of talented folks on board my first project. I've never been more satisfied and I've certainly never worn so many hats. That's a wrap folks! Go to THE MOM LIST SERIES to find out more and follow us on @noodlesonthewall on instagram. People say I look like Martin Short . . .
Back in the day, as a young aspiring comedic theater actor, being told I looked like Martin Short was a regular thing. It seems I was always destined to be a Martin Short of sorts. After all, my nickname with some of my friends in middle school was "rubber face.” I never knew just how to handle it though. What should have been a compliment, always felt like a huge blow to my ego. I was too consumed by appearances. Too blind sided by the fact that Martin Short was a man. Immaturity and a lack of confidence played a bigger role in my career as an aspiring thespian. I look back on that time and still wish I could have been stronger and maybe a little less dramatic. (No pun intended.) But I have no regrets. Everything happens for a reason and the moments that stop us in our tracks offer lessons we inevitably learn from. 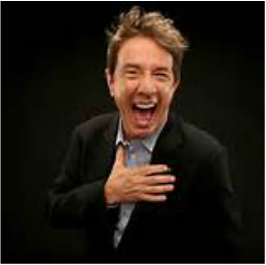 For me, the first time I was told I looked like Martin Short, turned out to be an exercise in self worth. To paint a better picture, I will write this moment in time, in sketch format for your convenience. This is a true story. You are absolutely a peach……. I know you want to but don’t fight the peach……..
Hi, I’m in the middle of auditions. And you……you are most definitely a plum. I don’t know where to eat, you decide. I told you, I’m in the middle of an audition and I don’t want to be rude. I can still hear you sweetie. Just keep going. Uh okay…..don’t you get an attitude with me Plum…..
I’ll see you for dinner. Yup. Okay. Bye. That is just like a Plum to roll her eyes and……. Has anyone ever told you that you look like Martin Short? Looking back, I can see that I wasn't ready to be compared to, in my opinion, one of the funniest physical comedians of our time. Martin Short certainly would not have let that casting director get away with answering a phone during his audition. He also would have owned his talents and instead of defeat, found a way to shine in that moment with a quick witted zinger or joke. I unfortunately and sadly, did not. Sometimes I think maybe that’s what the casting director was ultimately looking for. Could it have been a test? Could she have possibly been that rude? I’ll never know. So what was the lesson here? I think it was to stand up for myself, know my time is valuable, not take things so personally AND that rude people stink! Also, that I’m funny and I should own it. Now, I actually love being compared to any man as long as they're funny. ​Have you ever been caught off guard by a rude person? What lesson did you learn?